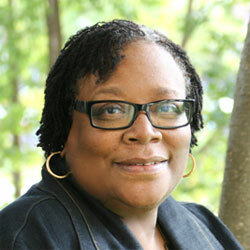 Dr. Shirley A. Thomas has served as a community organizer, a child protective services worker, program evaluator and a geriatric medical social worker. These experiences exposed her to the challenges of community members as it relates to mental health services, settings and outcomes. Dr. Thomas' research revolves around social work interventions and methods with children and families; health and health disparities, child welfare services and policies; and stress and stressors. Her studies on war stress and stressors confirm that their impact on veterans' emotional and physical health continues long after the war ends, notwithstanding the impact these stressors have on veterans' families and children. Presently she is collaborating with the Detroit Wayne County Mental Health Center on a project funded by the Department of Defense entitled, "Using Motivational Enhancement among OIF/OEF Veterans Returning to the Community." In addition, Dr. Thomas is collaborating on the development of a framework that describes the interplay of strength, powerlessness, stress and anger on African American women. Preliminary studies have found that powerlessness is a significant variable that contributes to the experience of anger in African American women and consequently to the adverse behavioral and health consequences of such anger. Dr. Thomas is collaborating with the Detroit Wayne County Mental Health Center on a project funded by the Department of Defense entitled, "Using Motivational Enhancement Among OIF/OEF Veterans Returning to the Community."